Stools are limited, so sign up today! workshop is full! join the waiting list! In this workshop you and your kiddo will make your very own handbuilt Christmas Tree to celebrate the holiday season. 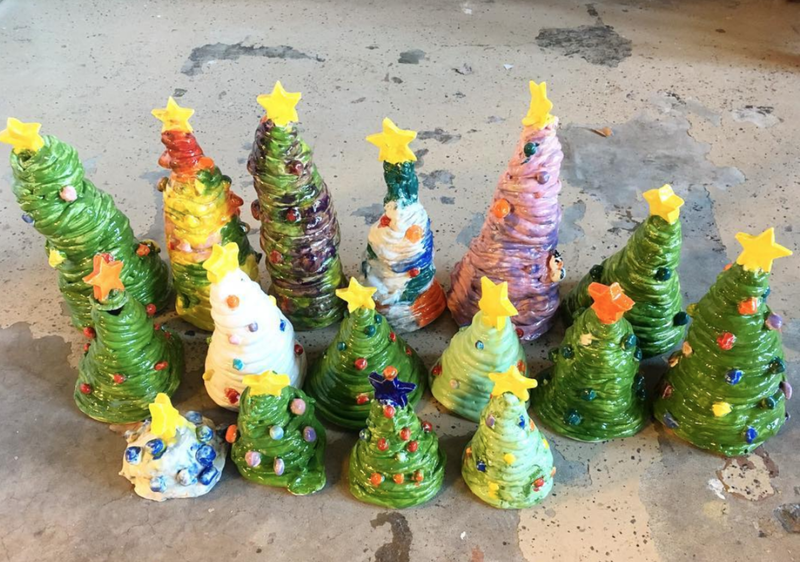 Once built, you will decorate the tree with colorful glazes and they will be fired within one week. No experience working in clay required! We will provide step by step instructions that are easy for all ages to follow. Please note: Sign up is limited to 12 spots. completing this form does not guarantee your spot in the class. You will receive an email within 24 hours confirming enrollment. Thank you! WORKSHOP IS FULL - join the waiting list! We might provide light refreshments!